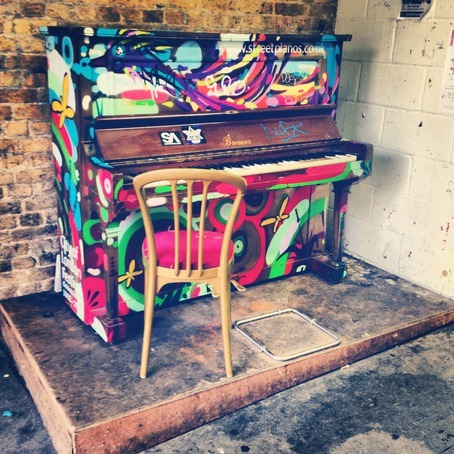 This street piano is located in the underpass next to Herne Hill Railway Station just off Railton Road. It is currently being looked after and tuned by local residents and shopkeepers with support from Herne Hill Forum. The piano is locked at night so is only playable during the daytime. Well tuned and well looked after piano! 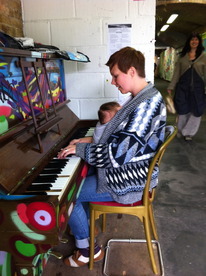 I just played Herne Hill piano. I was waiting half an hour for a Thameslink train when I heard a chord, a C major chord. I followed the chord and there was a guy trying to play Adele. I waited and after he left I played I Dreamed a Dream. I even attracted an audience and an round of applause. Someone said I made their day. Street piano is a dream come true. It also made my day. Now I am buzzing from it. At Herne Hill train station. while delibering flyers about Fierce Grace Hot Yoga in Brixton I found this beautiful piano....such a great idea for the community! 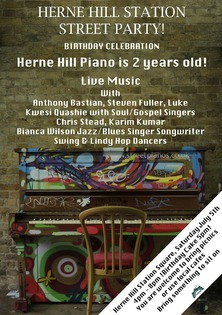 Herne Hill Street Piano is 2 years Old! Everyone is invited to a musical birthday celebration for the piano’s second birthday. Our permanent street piano is surviving way past all predictions! 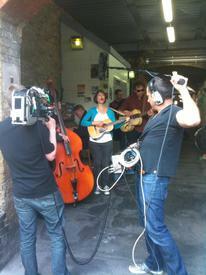 Party in Herne Hill Station Square on Saturday 5th July 4- 8pm with Fab Live Music! 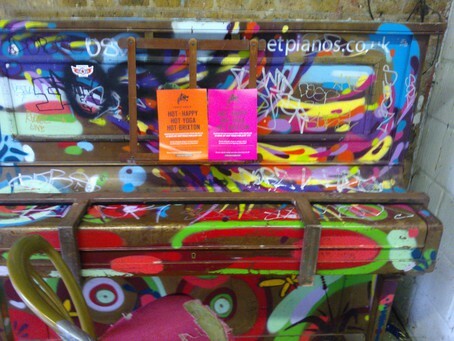 Two years after it was kindly donated by Street Pianos it has lived in the station underpass. Herne Hill Piano not only survives but thrives....and is gently gathering a national and international following. This piano is a bit out of the ordinary. With specially invited guest musicians the piano will be surrounded by friends, loved ones and fantastic live music. Expect Gospel, Blues, Swing Dancing and more. A film about the Herne Hill Piano - lovely article below! 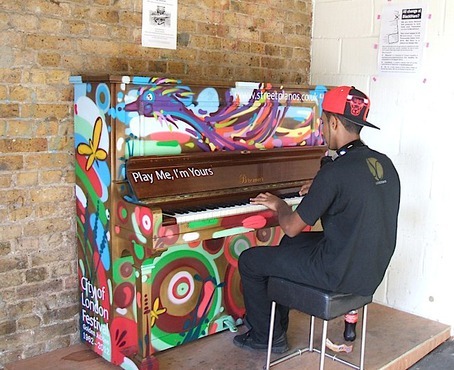 Possibly South London’s most famous public music instrument, the Herne Hill street piano is inviting the world along to a free outdoor screening with live music in Station Square (Herne Hill) on Friday 2nd May 2014. Peeping in. It's a habit of mine, to go and have a look whenever I have a few minutes between trains. Two wonderful lads on way home from school playing Moby - from their GCSE syllabus! Herne Hill street piano Anthony plays Stand by Me. Originally posted on YouTube by Susan Collins.